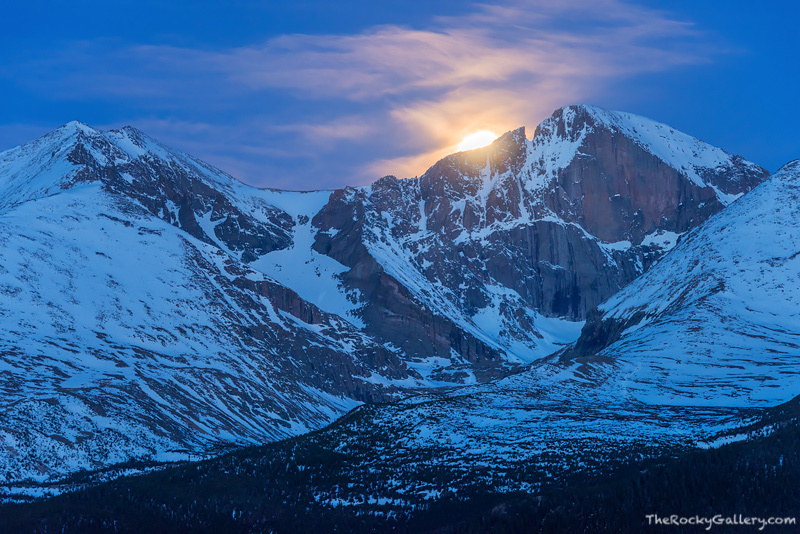 The moon is seen setting behind 14,259 ft. Longs Peak on an early June morning. I photographed this moody scene from the side of the Twin Sisters which gives and impressive view of Longs Peak, Mount Meeker and the Tahosa Valley. Even though it's early June, Longs Peak still has a solid coating of snow along its high flanks. Photo © copyright by Thomas Mangan.